Spring into Summer with a Glow! This summer, let’s give our highlighters a rest and embrace our natural glow! 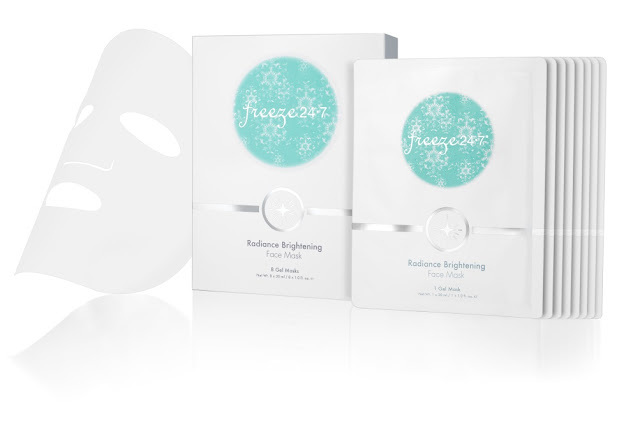 Achieving healthy, glowing skin just got easier with Freeze 24-7’s Radiance Brightening Face Mask! The face mask is specially formulated by top dermatologists to help skin regain luminosity and restore vitality. It is infused with Telangyn to improve skin tone, alleviate dullness, and prevent redness and blemishes. Other ingredients include Diffuporine to supply an abundance of moisture to the skin and Amino Acid Complex to help with the skin cell’s growth and elasticity. This gel mask is made from all-natural fermented coconut juice, which contains Vitamins B and C for hydrating and anti-aging purposes. The gel material can hold 10X more fluid than generic non-woven fabric and has natural soothing properties! USAGE: Remove mask from the sachet and gently unfold. Peel off the protective paper from one side of the mask. Apply the mask to cleansed and dry face, fitting it to the curves around the eyes, nose and mouth. Once fully applied to face, remove the protective film from the outside of the mask. Leave on for 20-25 minutes then discard. Gently pat the face with clean fingertips until the remaining serum is fully absorbed. Apply excess to Neck and chest. No need to Rinse. Where to purchase: You can make a purchase from the Freeze 24~7 website.